Stay connected with Global Links by sharing resources and content with your congregation. View this email in your browser. | Download a pdf version of Global Links. Every year on March 8, people around the world commemorate International Women's Day, a day dedicated to celebrating women's achievements throughout history and across nations. On this day, members of the ELCA celebrate by supporting and lifting up the International Women Leaders initiative. This year on March 8, give a gift in support of the International Women Leaders initiative and donations will be matched up to $100,000! 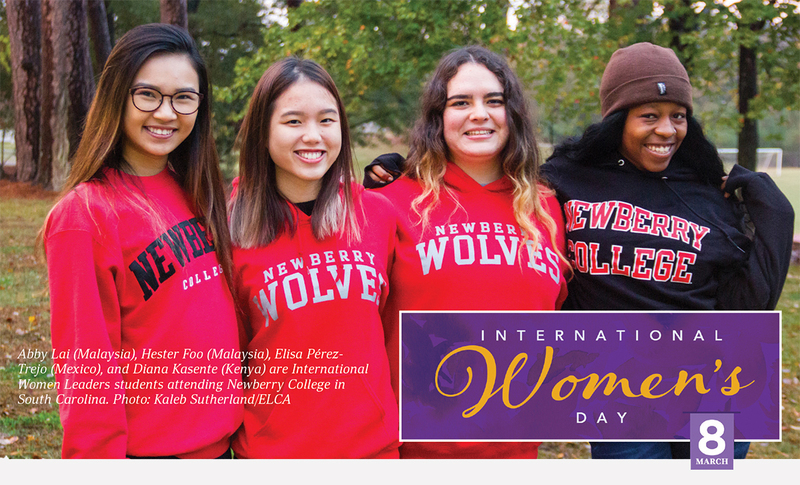 Learn about the ways your congregation can support this important initative by downloading the International Women's Day resources. Plan a worship service or host a special event to raise awareness and financial support for International Women Leaders! Dr. Steve and Bethany Friberg have been serving as ELCA missionaries in Ketumbeine, a rural community in Tanzania, for over 20 years. In this video, journey with them as they explain what it means to serve alongside the people of Ketumbeine. No matter where or how they serve around the world, all ELCA missionaries are called to walk with our global companions, giving and receiving, learning and sharing as one body of Christ. 2017-18 Global Church Directory – available for download now! The ELCA has deep, longstanding relationships with Lutheran churches and other partners around the world. We respond to our companions and support their work by sending missionaries and volunteers, training leaders, planting new congregations and growing existing ones. In the 2017-18 Global Church Directory, read stories of this engagement and see pictures of many of our more than 200 ELCA missionaries currently in service, including the 93 Young Adults in Global Mission participants. In early February, six new missionaries gathered at the ELCA churchwide organization in Chicago to be commissioned for service. The Rev. Hitoshi and Satoko Adachi along with the Rev. Andrew Wilson and the Rev. Dr. Sarah Hinlicky Wilson will serve with ELCA companions in the Japan Evangelical Lutheran Church. Hailey Brendan will serve with partner organizations in Nepal. The Rev. Rosemarie Doucette, jointly sent by the Southwestern Texas Synod, will serve alongside companions in the Costa Rican Lutheran Church. Please join us in celebration and prayer for these new missionaries! To learn more about how you can support their ministry, please contact globalchurch@elca.org. This past year, nearly 200 young adults applied to ELCA Young Adults in Global Mission (YAGM), a year-long program of transformative international service, relationship building and faith formation. For those considering applying, excitement is often mixed with the anxious question of whether they are the right fit for the program. In her recent blog post, YAGM Katie Romano, who is serving in Rwanda, shares her experience struggling with this question and how she's come to believe everyone is "enough" in the eyes of God. If you are 70½ or older, you can make gifts to the global church from your IRA that will help change lives all over the world. According to irs.gov, "Your required minimum distribution is the minimum amount you must withdraw from your account each year. You generally have to start taking withdrawals from your IRA, SEP IRA, SIMPLE IRA, or retirement plan account when you reach age 70½. Two important reminders: You can withdraw more than the minimum required amount; your withdrawals will be included in your taxable income except for any part that was taxed before or that can be received tax-free (such as qualified distributions from designated Roth accounts). Contact globalchurch@elca.org with questions or for assistance. Know someone interested in receiving these Global Links updates? Share this subscription link with family and friends, or post it on your congregation’s website: community.elca.org/globalinks-newsletter-subscribe. 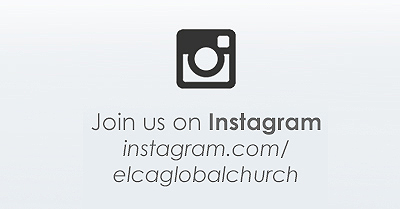 Help share the story of our global church! 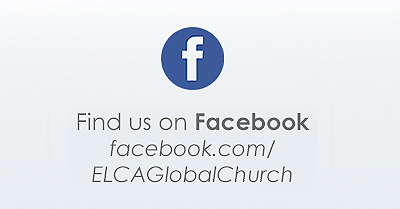 Follow our ELCA Global Church Facebook, Twitter and Instagram pages for photos, stories and news about the global church. Download the latest edition of Global Links to share with your congregation. Please reply to this email with your ideas and comments. 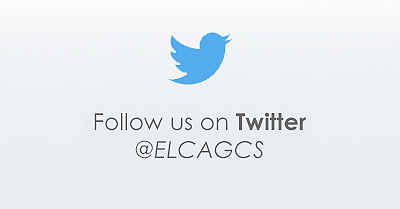 Please forward ELCA Global Links in whole or in part, for use in publications, websites or blogs. You received this email because you provided the Evangelical Lutheran Church in America with your email address.